In the last few weeks, I’ve seen an interesting trend occur online. Put simply, a lot of people have started to treat video game glitches like they’re a bad thing, and decided that their existence in a game is somehow proof the developer got lazy. And this can be seen on my videos for games like Breath of the Wild. 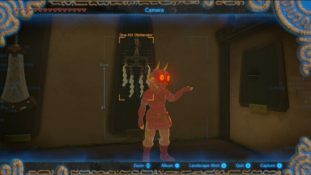 I’ve seen people call out the QA team for every instance where I managed to get Link to clip through a wall. I’ve seen others say that Nintendo is lazy due to allowing these bugs to get into the game. Heck, in some cases I’ve even seen joke comparisons to Sonic 06. 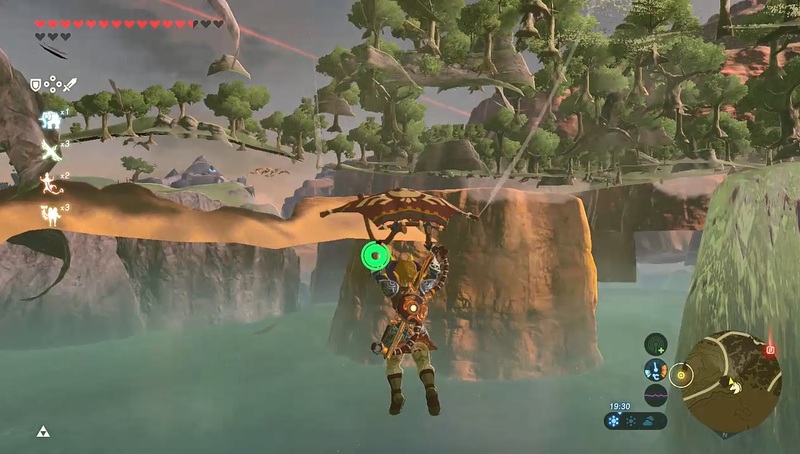 As if the presence of these glitches in Breath of the Wild means its an obvious beta that was rushed out the door as quickly as possible. Yes, it’s possible a game could be rushed out early. Or simply wasn’t tested properly for whatever reason. Something like Action 52 might be an example of that. But a game isn’t necessarily bad (or broken) just because it has a lot of glitches. There are a few key reasons for this. Reason 1 being that ambitious games will almost always have more glitches than unambitious ones. Obviously there are a few exceptions here. Mario & Luigi Paper Jam is glitchier than Dream Team for instance. Despite being built on the same engine with a lot of recycled content. But for the most part, an ambitious game will have more glitches than an unambitious one. Take Pokémon for example. The original games were ridiculously ambitious, and had to really struggle to fit all the content in a single Game Boy cart. As a result, they’re packed with glitches. That’s because the way they were coded was optimised for size rather than error checking. They had to fit a lot of code onto small cartridges. So to get it to fit, things were skipped. Checks were removed. Etc. And the resulting games are perhaps some of the most glitch filled games in history, with everything from glitch Pokémon like Missingno to being able to wrong warp to the Elite Four or even rewrite the game’s programming on the fly. However, that doesn’t make them bad. They’re amazingly fun games which set off a huge fad back in the 90s and maintain a steady fanbase even today. It’s just that due to how hard they tried and how many technical boundaries were pushed, glitches crept in. What’s more, the same goes for all manner of other great games throughout history. Super Mario 64 (and its DS port) are littered with glitches, but that’s in part because of all the ground breaking ideas and tech they put into practice. No one had ever made a 3D platformer quite like Mario 64 before, and Nintendo themselves were learning as they went along. So again, glitches crept in. The same goes for almost every Zelda game. It goes for Smash Bros Melee and Mario Kart. GoldenEye, Crash Bandicoot, the classic Sonic games, the classic Mega Man games… the list of great games filled with bugs goes on and on. Yet it’s not just ambition you have to consider here. It’s also plain old game testing limitations. Put simply, no company can ever find all the bugs in a game. It’s impossible. Every piece of software in existence has more potential flaws and security problems than can ever be truly fixed. And this is magnified up to eleven when the games are released to the public. Remember, Nintendo’s testing team is both limited in size and strapped for time. They don’t have months or years to test every minor wall and character interaction in the game. Nor do they have the unlimited time and resources to fix every little thing that might be found. So while they do the best job possible, things will slip through the radar. Or they’ll be marked as ‘won’t fix’. Then when you add however many million players into the mix (Breath of the Wild has sold about 3 million copies so far), those things will get found. There are simply more players looking for glitches (or just playing in ways unforeseen by the development team) than there were doing QA testing. Let’s not forget how much free time gamers can have either. Again, remember that for Nintendo’s in house teams, quality assurance is a job. They have to move between one game and another every few weeks or so to make sure all of said games work well. They can’t test Breath of the Wild forever. Players on the other hand… they can. They could spend eight hours a day looking for bugs in the game and do so for years. They could test every wall and object in the game. See how every character interaction goes. Hence they’ll find more glitches. Look at Stryder 7x and Pannenkoek2012 for instance. They play almost nothing but Paper Mario and Super Mario 64 respectively. So guess what? They find numerous bugs in these games. And when speedrunning communities and glitch focused sites and YouTube channels (who like the ad revenue these glitch demonstration brings) are factored into the equation… well, a game is likely to be broken to all hell within weeks or months. It’s the same sort of situation as with computer cybersecurity. Microsoft might try to patch all the issues in Windows, but they can’t really compete with the hordes of security researchers, bored users and hackers trying to find said issues for their own personal gain. So don’t worry too much about glitches in games. They’re bad if they cause problems, but for the most part they’re simply a fact of life that you cannot ever avoid. Every game has them, and every ambitious game will have them by the thousand. They do not necessarily mean a game was poorly coded, not tested properly or tossed out the door by the development team. One Concern with Kid Icarus Uprising; How is the game going to be balanced?